It is impossible to precisely determine how, when, where and who created the first concept of action camera. Nevertheless, it is possible to revisit the first attempts of first person footage with a camera attached to a helmet. They were made in 1960s and -exactly as today’s action cameras- they originated from sportsmen needs. The first action camera to hit the market was introduced by Woodman Labs (aka GoPro) in 2004. It was waterproof and it costed just 20$. Current action cameras have made significant further steps in the last years. However, no one seems to have unlocked their full potential, yet. Hundreds of brands has started to compete for the production of more and more innovative action cams. For easier understanding, we can divide action camera evolution into three parts. The reason for a categorization like this is simple. GoPro had an enormous and still unsurpassed impact on the market. Thanks to them, action cameras are now affordable to anyone. Long before the first camera was created, video makers had always looked for unorthodox methods in order to catch and spark the viewers attention. They reached very unusual and eccentric solutions. We are now about to show you some of these solutions. 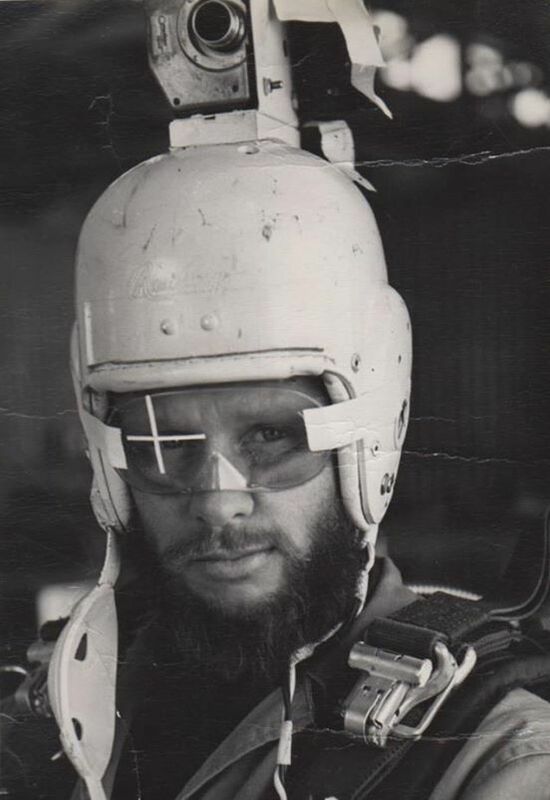 Bob Sinclair, skydiver. Between 1961-1963, he was one of the crew members in charge of recording for the Ripcord show, obviously focused on the world of parachuting. Sinclair wanted the viewer to feel the actual experience of a skydiver. So as to ensure that, he had the brilliant intuition of attaching the camera on his helmet. He also understood that recording with this method was more stable than conventional recording from a hand. He previously mounted the camera on a football helmet but, gradually, he implemented this idea progressively finding newer and more convenient solutions. Bob Sinclair can surely be considered as one of the first -if not THE first- to record action videos with his own setup of mounting a camera to a fiberglass helmet. 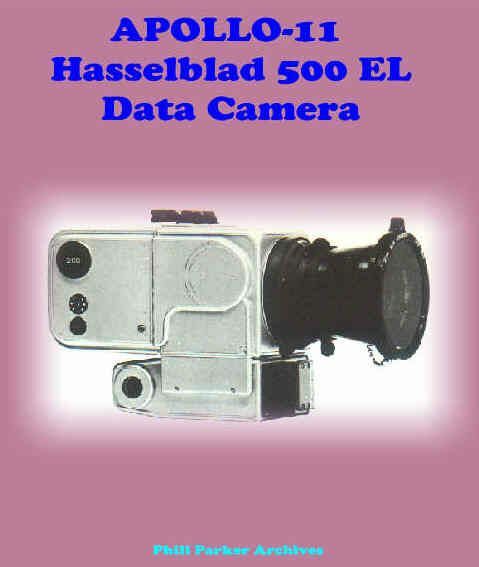 Rumor has it that in 1963 a NASA astronauts, who was also keen on photography, brought an Hasselblad 500c to Houston. NASA’s engineers were so impressed with the camera that they started modifying it in a way that could make it work on the moon. The main challenge was to make it easy for astronauts with gigantic gloves and suits on, to replace a film. More information on this link.. Pilot Jackie Stewart had few experiments, too. In 1966, he mounted a Nikon on his helmet, taking pictures while he was driving. We must say that he didn’t do that during an official race, but what is worth to report is how was spreading the desire to get dramatic and realistic footage. Here some of his incredible videos. Back in 1971 Steve McQueen wore a robust camera on set for the movie “Le Mans“. Camera was duck-taped to his helmet in order to capture first person video of him motorcycling. Not bigger than a packet of cigarettes, Ci-10 captured the attention of security and surveillance experts, thanks to his small dimensions. 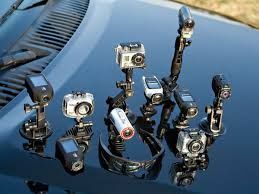 However, it entered in the history of action cams when a company called Aerial Video Systems found a way to mount the camera on motorcyclist Dirk Garcia’s helmet and film live his race for the ABC. And then, there is Mark Schulze, one of the early inventors of action cameras. According to many sources Schulze is considered a pioneer in this field. But here is what is interesting about Schulze. His videos are documented and available today. So we have an actual proof that he recorded videos with his setup. His approach was no different then others when it comes to camera mounting. 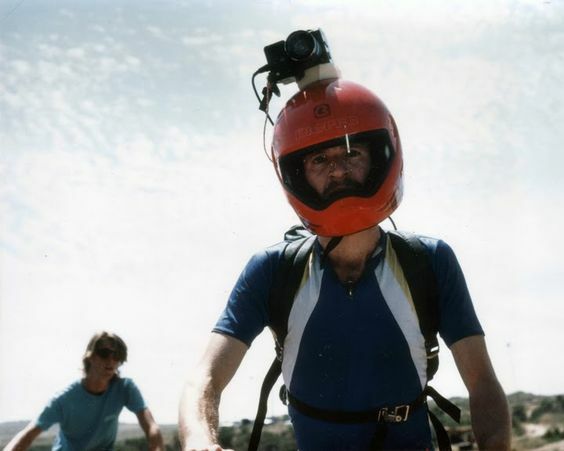 While he was working on”The Great Mountain Biking Video“, he mounted a VHS camera on top of his helmet and had a VCR with the latter in the bikers backpack connected with RCA cable. This was quite a rigid and heavy setup, especially if you are cycling for a longer period of time, but it worked ! 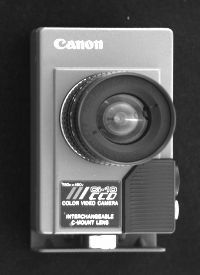 The camera was cylindrical and transmitted live signal. 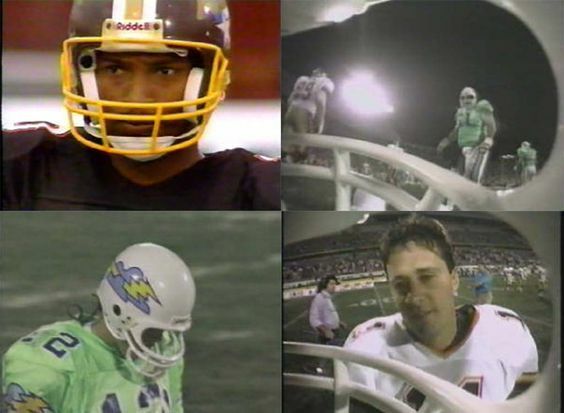 Battery pack and transmitter were molded into the shoulder’s pads, which made camera itself impossible to take off by a player. That is why someone always had to unplug the cables and help QB to safely remove his helmet. 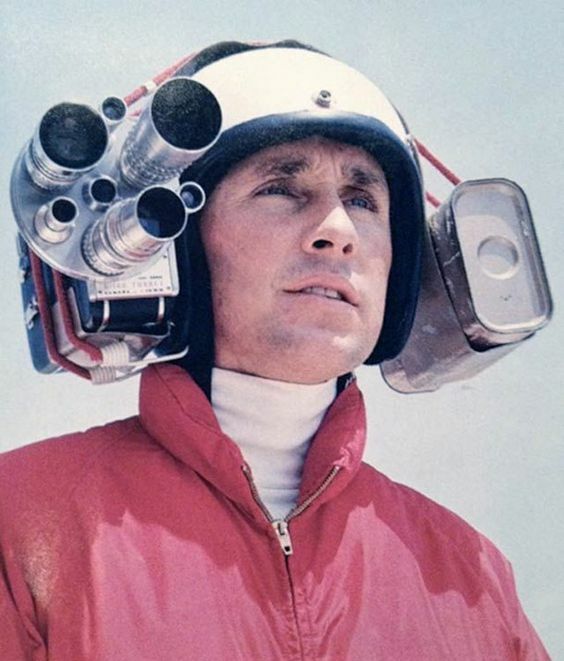 Even though, first attempts to attach a camera to a helmet were made few decades earlier, all opinions are united that Nicholas “Nick” Woodman, founder and CEO of GoPro, was the first to introduce a rugged and waterproof solution sold and marketed to an average consumer. First prototype was crafted in 2004/2005, but the idea came few years ago. Initial idea was to create a wrist strap which can easily fit other cameras on top of it. Since most of the cameras he tested broke easily, Woodman had to find a camera that could be adapted to extreme sports. After two years of researches, he finally found a company that had something close to what he wanted. He paid them to adjust and modify the camera to fit his strap. It was the birth of GoPro Hero 35mm 0001. It came with 35mm Kodak film, a waterproof case and a wrist strap inside the box. All of this to a modest price of 20$. It has just one flaw, it didn’t record; it only took pictures. In 2006 GoPro reached his turning point. It went digital and launched GoPro Hero Digital that could record VGA videos in 10 seconds sequence with no sound output. In the next few years company released Hero 2 and 3 with plenty of improvement and innovation compared to Hero Digital. Today, GoPro have already arrived to Hero 4 and Hero Session. POST GoPro ERA or WHAT THE FUTURE HOLDS ? After GoPro birth, a new market boomed. More and more companies and brand have started to compete in order to have a piece of action camera sector’s cake. Chinese companies such as Xiaomi or SJCAM produce cameras that are really similar to the leader market’s one; they only distinguish themselves by their convenient prices. Even Sony and Polaroid entered in this market’s segment with slightly different products, but still unable to fill the gaps directly caused by technical aspects and design related problems. That is the end of this post. Right here youll discover some internet sites that we feel you will appreciate, just click the hyperlinks.